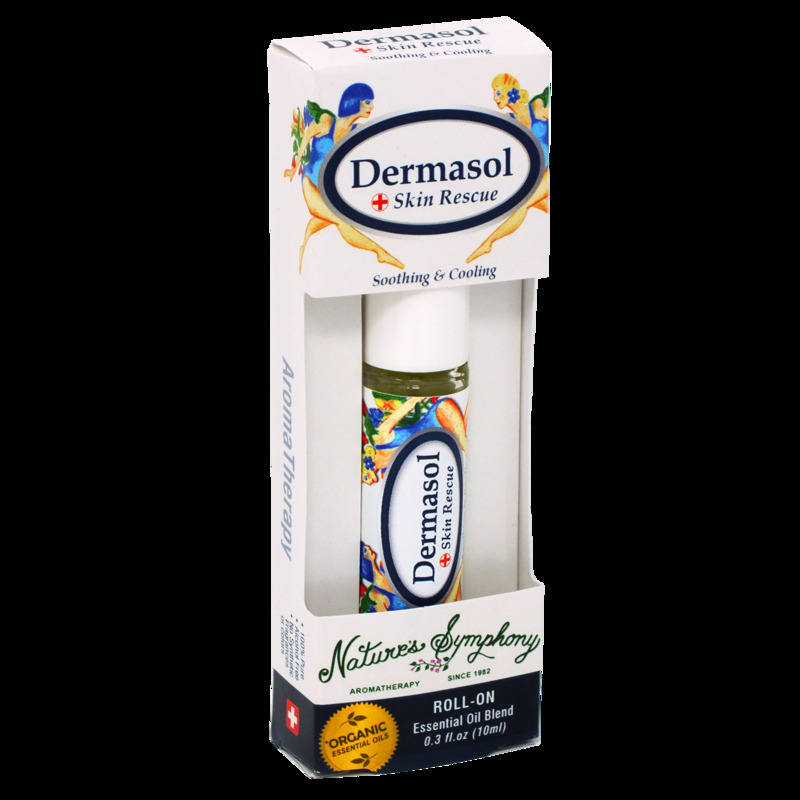 Our Dermasol Roll-On spot treatment contains Aloe Vera oil with organic essential oils to help nourish and rescue skin from minor abrasions. Apply to insect bites, dry, itchy areas, blemishes, and cracked or chapped skin. To use: Apply locally to minorly damaged skin as desired. Can be applied several times per day. Avoid eye area. For external use only. Ingredients: Jojoba oil (Simmondsia chinensis), Aloe oil (Aloe barbadensis), Fractionated Coconut oil (Cocos nucifera) with *Organic/wildcrafted essential oils of Lavender (Lavandula angustifolia), Eucalyptus (Eucalyptus globulus), Thyme (Thymus vulgaris), Palo Santo (Bursera graveolens), Sweet Orange (Citrus sinensis), Sage (Salvia officinalis), Tea tree (Melaleuca alternifolia), Rosemary (Rosmarinus officinalis), German Chamomile blue (Matricaria chamomillia), Rose Geranium (Pelargonium roseum) and Lavender Spike (Lavandula latifolia).